This exciting design reflects our maritime heritage. 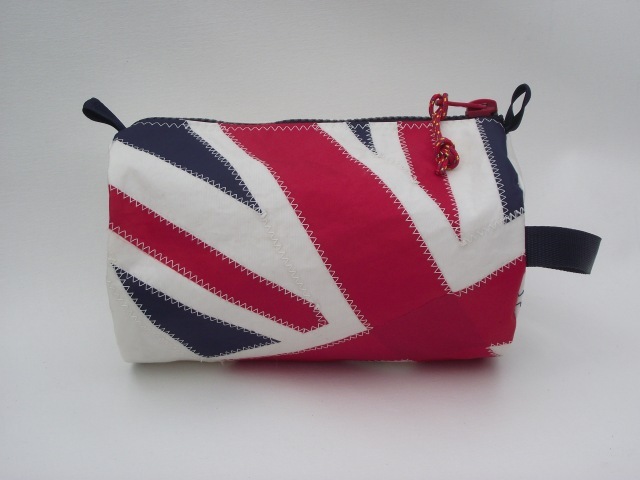 The Union Jack design is available across our whole range of kit bags from this wash bag up to extra large kit bag. 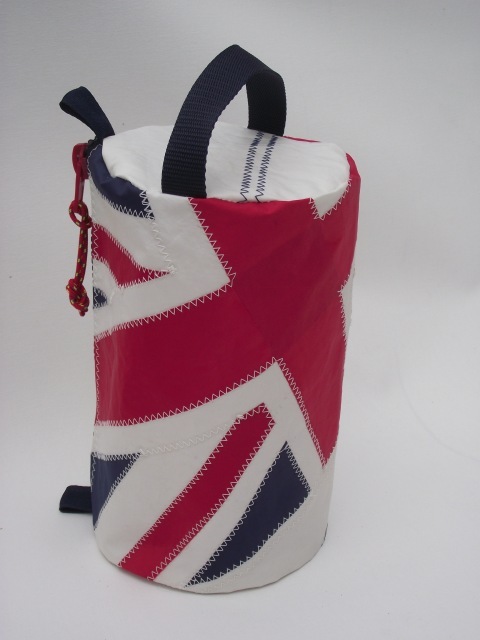 The Union Jack pattern is cut out by hand, placed diagonally around the bag and sewn on carefully with traditional sailmakers zig-zag stitch using UV resistant thread. The ends of the bag are sewn in with three rows of stitching. 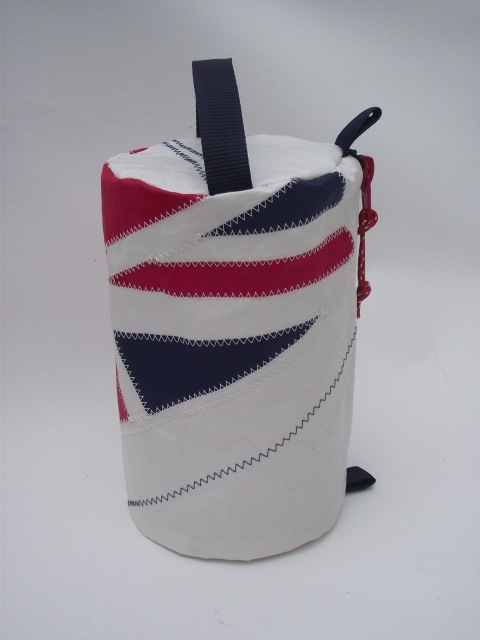 Made from new white sailcloth, our round ended wash bag is capacious, with ample room for toiletries you might take with you on your travels. We add a chunky navy blue zip with coloured pull cord. At one end we add a navy blue webbing handle. Care instructions: Wash gently at 30 degrees centigrade with eco-friendly washing liquid. Rinse. Dry naturally. Please do not add bleach, do not dry clean and do not tumble dry.